Children should ride in rear-facing car seats until they are 2 or reach the maximum height and weight for their seat, doctors say. (CNN) -- New recommendations from the American Academy of Pediatrics may change the way many parents buckle up their kids. The new guidelines, published online Monday in the April 2011 issue of Pediatrics, advise parents to keep their toddlers in rear-facing car seats until they are 2 years old or until they reach the maximum height and weight for their particular seat. The AAP also recommends that most children will need to ride in a belt-positioning booster seat until they have reached 4 feet 9 inches tall and are between 8 and 12 years of age. The previous 2002 policy advised parents that it was safest for infants and toddlers to ride rear-facing up to the limits of the car seat, but it also cited age 12 months and 20 pounds as a minimum. As a result, many parents turned the seat to face the front of the car after the child's first birthday. "Parents often look forward to transitioning from one stage to the next," said Dr. Dennis Durbin, lead author of the policy changes. "But these transitions should generally be delayed until they're necessary, when the child fully outgrows the limits for his or her current stage." Too old for a car seat? Although the number of small children killed in motor vehicle crashes has decreased substantially -- dropping 45 percent between 1997 and 2009 (under the age of 16) -- car crashes are still the leading cause of death for children ages 4 and older. If you count children and teens up to age 21, there are more than 5,000 deaths each year. "A rear-facing child safety seat does a better job of supporting the head, neck and spine of infants and toddlers in a crash, because it distributes the force of the collision over the entire body," Durbin said. 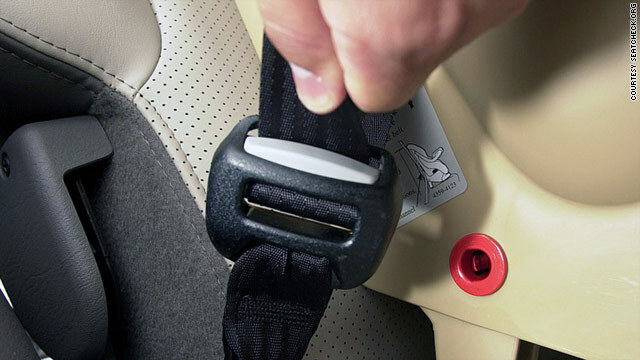 "For larger children, a forward-facing seat with a harness is safer than a booster, and a belt-positioning booster seat provides better protection than a seat belt alone until the seat belt fits correctly." Numerous studies have shown children are safer in rear-facing car seats. For example, a 2007 study in the journal Injury Prevention showed that children under age 2 are 75 percent less likely to die or be severely injured in a crash if they are riding rear-facing. "The 'age 2' recommendation is not a deadline, but rather a guideline to help parents decide when to make the transition," Durbin said. "Smaller children will benefit from remaining rear-facing longer, while other children may reach the maximum height or weight before 2 years of age." The recommendations say that children should transition from a rear-facing seat to a forward-facing seat with a harness, until they reach the maximum weight or height for that seat. Then a booster will make sure the vehicle's lap-and-shoulder belt fit properly. The shoulder belt should lie across the middle of the chest and shoulder, not near the neck or face. The lap belt should fit low and snug on the hips and upper thighs, not across the belly. Most children will need a booster seat until they have reached 4 feet 9 inches tall and are between the ages of 8 and 12 years old. And all children under the age of 13 should ride in the rear of a vehicle. As for airline travel, although the Federal Aviation Administration permits children under age 2 to ride on an adult's lap on an airplane, researchers are recommending that little ones ride in an age- and size-appropriate restraint when flying. "Children should ride properly restrained on every trip in every type of transportation, on the road or in the air," Durbin said.